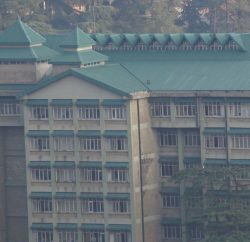 Himachal High Court today quashed the appointment of Director of forensic laboratory (Junga) J R Gaur, saying he did not fulfill the essential qualifications for the junior posts held in the past. 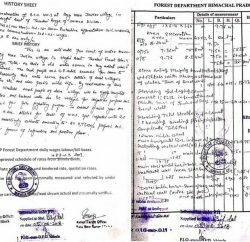 The appointment “cannot stand on the principle that when the foundation goes, the superstructure can also not stand,” said a single bench on the petitions of Bharat Raj Rawat, Arun Sharma and Dr. Minakshi Mahajan, presently working as assistant Directors at FSL. Justice V.K. 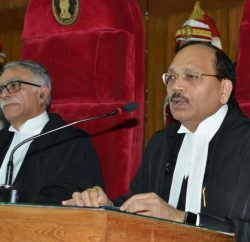 Sharma observed that Gaur did not fulfil the essential qualifications at the time of his appointment as assistant Director on deputation from FSL, Madhuban (Haryana) in 1990 and he was later promoted as Deputy Director and Director and quashed the notifications issued by the government in this regard.